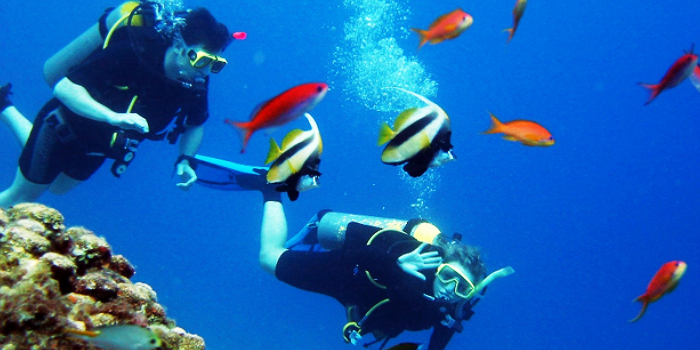 Cruise to the splendid cove of Las Caletas for an excellent dive trip. This fabulous cove is home to an extensive coral reef that stretches from the shallow water near the snow-white beach out towards the deeper water of Banderas Bay. Our motorized catamaran will transport you from Puerto Vallarta to the south of Banderas Bay to visit the sprawling former estate of the award-winning film director, John Huston. Huston chose to build on this site because of the splendid protected cove at Las Caletas. 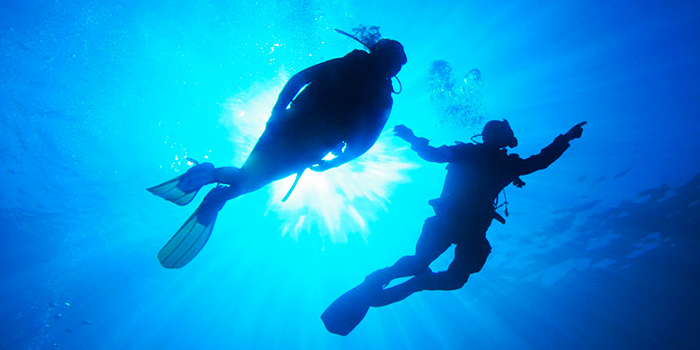 Las Caletas, one of the best shallow water dives in the region, is excellent for divers of all skill levels. 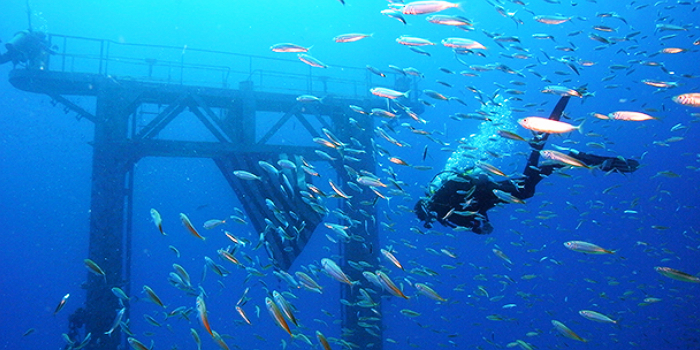 Novices will appreciate the relatively shallow dive to a thriving coral garden which begins at a depth of twenty-five feet. Expert divers will approve of the excellent visibility as well as the astounding amount of species that can be witnessed in this cove. Depths near the mouth of the cove reach one hundred feet. 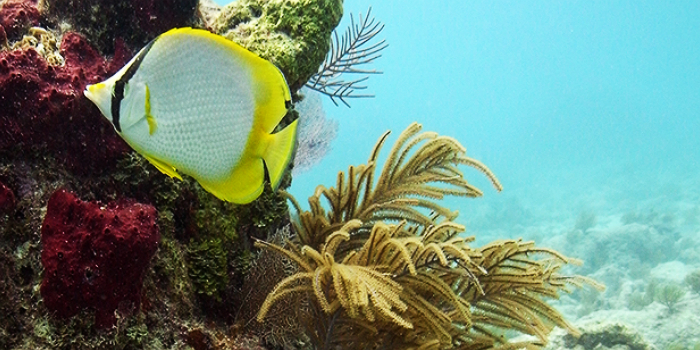 No matter where you explore this extensive reef, you are sure to witness some astounding sights, including corals, sponges, turtles, rays, and tropical fish. If you have members of your vacation party who are not interested in scuba diving, they can book our Las Caletas Day adventure to enjoy a day of snorkeling, sea kayaking, hiking, spa treatments, paella cooking lessons, waterfall pool swimming, horseback riding, and much more. 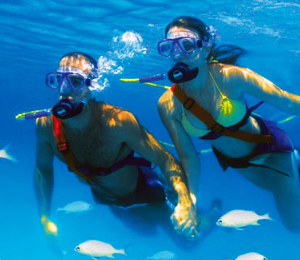 You can even dive below a family member while they snorkel above you. If you are enjoying a family vacation, there is no need to be separated for the whole day. 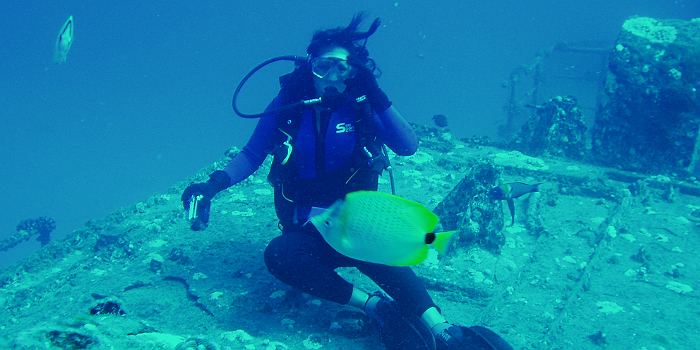 I have been to the Bahamas many times, but Las Caletas Scuba Adventure is one of my favorite trips! It includes everything that everyone should do here. As a Bahamas veteran, I can say only the best about this experience!